The ethos underlying the “Unbundled University: Researching Emerging Models in an Unequal Landscape” project is towards seeking high quality educational provision which reduces inequality, enhances social mobility and improves graduates’ employment opportunities, through the pedagogically appropriate use of technology. While the research team is pragmatic about the increasing influence of marketisation on higher education, and the opportunities this may provide for students, we are mindful of the destabilising and negative effects that marketisation can bring, be it from economic or social pressures. We are aware, as Mansell (2013) observes, that there are two prevailing social imaginaries about digital technologies, with the prevailing dominant imaginary in today’s ‘information societies’ being market-led while alternative imaginaries are described as ‘open’ or commons-led. These different imaginaries provide problems ‘for stakeholders in deciding which policies and strategies, or mix of policies and strategies, is most likely to facilitate progress towards more just and equitable information societies’ (p.10). Through this research project, we will study unbundling in both imaginaries and interrogate the market-led approach as it is being enacted in higher education, with an awareness of the necessity for more equal societies in an era of disturbingly growing inequality (WEF 2013). That said, we intend to conduct this study using evidence before us, while at the same time building on previous research on the marketization of higher education. For instance, we will draw on the following positions in the literature to guide our research. The commodification and marketisation of knowledge have been important topics of debate in the literature even before the recent enthusiasm for massive open online education and the recognition of the unbundling of education (Brancaleone and O’Brien 2011; Kenway et al. 1994; Marginson, 2004; Naidoo 2003; Newman 1999). The reason for such continued interest in marketisation is that, to some extent, there has always been a hybrid economy in higher education provision, but it is now becoming more complex, due to advances in technology and the Internet in particular, and global in scale. Recent developments have spurred critical commentaries, pointing to a problematic ‘darker side’ of marketisation . This darker side might include, for example, the ‘selling’ of pedagogy to the (sometimes) highest bidder; the fragmenting of the educational offering and the packaging of ‘learning’ into byte-sized attractions (Nixon, Scullion and Hearn, 2016); ultimately, this could lead to the trivialisation of the challenge of learning and the casualisation of academic labour. We are aware of these debates and believe that our emphasis on ‘performativity’ in our research approach provides us with a powerful platform to develop a measured inquiry into marketisation. Our descriptive interest in the performative power of economic, educational and technological aspects is based on the assumption that unveiling what is taken for granted is already a form of critique (Callon 2010; Muniesa 2014). 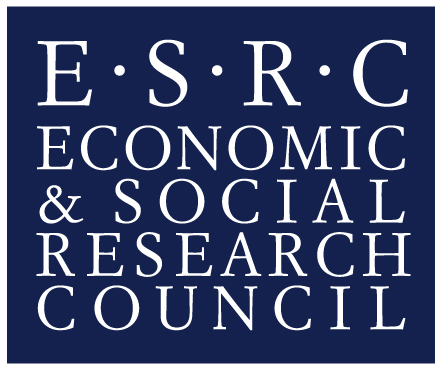 To this purpose it is worth reiterating the key theoretical and empirical assumption that underpins our project: economic and educational realities are brought into being (‘performed’) by an array of socio-technical and human factors; hence there is no single best way of organising the emerging HE market. We are aware that such a thesis is not immune to criticism either, and some have warned against its tendency to depart from its original descriptive emphasis, at the risk of indulging in extreme forms of relativistic constructivism where the design of economic and educational realities appears to have been deliberately ‘constructed’ through ‘social engineering’ (e.g. Santos and Rodriguez 2009). Applied to our research problem, this critique might suggest an unwarranted emphasis on the relative character of marketisation in higher education, as something completely dependent on the interests of a small number of actors in the changing educational and economic landscape. We remain aware of this risk and, therefore, while our approach is still firmly grounded in descriptive analysis, we will also strive to tease out the possible and emergent implications of these mechanisms for the student experience, for learning, for inclusivity and inequality, for access and for students’ academic success. Furthermore, while we aim to critically interrogate the idea of ‘universal’ market forces operating according to the same rules in different geopolitical contexts (South Africa and the UK), we also seek to identify the conditions necessary for the development of alternative forms of marketisation, where markets are steered for social ends. This is likely to include paying attention to the emergence of new and alternative business models. However, this will not be achieved through some form of economic or educational design, but by engaging in a detailed descriptive analysis of how the system functions (or is beginning to function), bringing into relief its contradictions and the emerging or enduring inequalities, and engaging stakeholders in a dialogic (and inherently democratic) process of reflection. We are convinced this will represent a valuable outcome for our stakeholders in both the UK and South Africa. We are also aware that our project is set against a complex and emergent policy background which demands a clear and unequivocal positioning effort on our behalf. The UK Government’s recent White Paper (1)and the Higher Education and Research Bill (2) both aim to decisively open up the higher education market, outlining provisions to simplify the regulatory landscape and to support the entrance of new providers, whilst at the same time introducing new stringent performance criteria (the Teaching Excellence Framework, or TEF). At the same time, the South African Council on Higher Education (CHE) has made it clear that ‘the core academic component of programme design and provision cannot be outsourced’ (CHE P.87). Our position in relation to these seismic changes and contradictory views is one that prioritises empirical scrutiny over uncritical enthusiasm, and we believe that our research will be a timely contribution to these debates. We take seriously the potential opportunities brought about by marketisation and technology-driven innovation, such as flexibility and widened access; however, this is balanced by a firm commitment to social scientific inquiry and to upholding the needs of all learners and of learning – not to further the interests of commerce for its own sake. Crucially, we are interested in whether and how marketisation can enhance the quality of provision and the student experience, serving the access and equity needs of those in both developing and developed countries, whilst remaining open to the possibility that the very same market forces might exacerbate or undermine these needs. Examining marketisation certainly sets the conditions for a political critique, but we see it mainly as a gateway into educational agency. We remain therefore committed to being critical, not because we seek to curtail marketisation through abstract condemnation, but because we aim to open up lines of inquiry and increase the possibilities for action in this crucially important area. Brancaleone, D., and S. O’Brien. 2011. ‘Educational Commodification and the (Economic) Sign Value of Learning Outcomes.’ British Journal of Sociology of Education 32 (4): 501–519. Callon, M., 2010. Performativity, misfires and politics. Journal of Cultural Economy, 3(2), pp.163-169. Council for Higher Education. 2014. Distance Higher Education Programmes in a Digital Era. Kenway, J., C. Bigum, L. Fitzclarence, J. Collier, and K. Tregenza. 1994. ‘New Education in New times.’ Journal of Education Policy 9 (4): 317–333. Mansell, R. (2013). Imagining the internet: Open, closed or in between. In F. Girard B. Perini (Ed. ), Enabling Openness: The future of the information society in Latin America and the Caribbean. IDRC. Muniesa, F., 2014. The provoked economy: Economic reality and the performative turn. Routledge. Marginson, S., 2004. Competition and markets in higher education: A ‘glonacal’analysis. Policy futures in Education, 2(2), pp.175-244. Naidoo, R. 2003. ‘Repositioning Higher Education as a Global Commodity: Opportunities and Challenges for Future Sociology of Education Work.’ British Journal of Sociology of Education 24 (2): 249–259. Newman, R. 1999. ‘Sites for Power and Knowledge? Towards a Critique of the Virtual University.’ British Journal of Sociology of Education 20 (1): 79–88. Nixon, E., Scullion, R. and Hearn, R., 2016. Her majesty the student: marketised higher education and the narcissistic (dis) satisfactions of the student-consumer. Studies in Higher Education, pp.1-21. Santos, A.C. and Rodrigues, J., 2009. Economics as social engineering? Questioning the performativity thesis. Cambridge Journal of Economics, 33(5), pp.985-1000.